One of the Year's Best Shows is on Netflix – and You Might Have Missed It! Original programming is one of the most important staples of any channel or service – and Netflix has become a heavyweight contender in that arena over the past few years. 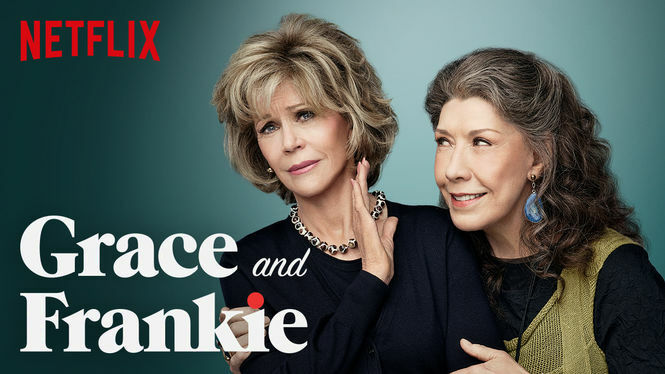 With shows such as "Daredevil," "Bloodline," and "Orange is the New Black" grabbing all the headlines, you might have missed out on a little hidden gem that was also recently released on Netflix: "Grace and Frankie." It's about two women who are forced to make a sudden and unexpected change in their lives after receiving shocking news from their husbands. Jane Fonda and Lily Tomlin: 35 years after the groundbreaking "9 to 5," Fonda and Tomlin have finally reunited – and it was absolutely worth the wait. Their chemistry is every bit as great today as it was back in 1980 – maybe even better! Martin Sheen and Sam Waterson: Before "Grace and Frankie," I wouldn't have ever imagined these two working together – especially in this context. Age suits Martin Sheen well – he has turned into an adorable puppy dog grandpa type. 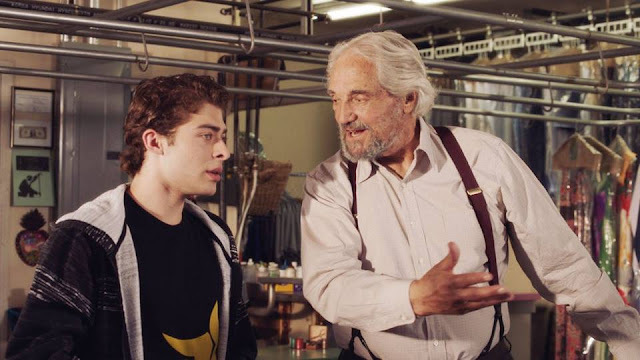 And Sam Waterson is pitch perfect as an old, gay, Jewish hippie – it's the role he was born to play. Great guest stars: Including Christine Lahti ("Jack and Bobby"), Corbin Bernsen ("Major League"), Brian Benben ("Dream On"), Craig T. Nelson ("Coach"), Michael Gross ("Family Ties"), Ernie Hudson ("Ghostbusters"), and many more. This show clearly attracted the cream of the crop. Characters named Coyote and Nwabudike: You gotta love that! In fact, all of the supporting cast members – Ethan Embry, Baron Vaughn, Brooklyn Decker, and June Diane Raphael – accomplish the rarer-than-you-think feat of being ideal secondary characters. They enrich the main storyline without being overbearing or ever taking anything away from Fonda, Tomlin, Sheen, and Waterson. The perfect mixture of comedy and drama: Some episodes are hysterically funny. Others are more serious and somber. But almost all of them are both – bittersweet in some way. My only disappointment (if you can call it that): No cameos from the other two stars of "9 to 5," Dolly Parton and Dabney Coleman. Then again, that's probably as illogical as expecting S. Epatha Merkerson from "Law & Order" or Rob Lowe from "The West Wing" to show up. (Of course, I wouldn't have minded that either!) Maybe in the second season... They did manage to throw in one sly reference to Parton though: a mention of "The Best Little Whorehouse in Texas," which, of course, she starred in. Why you should watch it: With wonderful actors, great writing, and a fantastic premise, every episode feels like a special treat. The situations that unfold on "Grace and Frankie" are happy, sad, comical, serious, scary, and downright real and messy – just like life. Corrected! Thanks for pointing that out to me. Not sure how I made that blunder.